Asphalt sawing is the crutch of pavement projects. Asphalt (also known as blacktop) is the center of most paving projects. Ace Cutting and Coring are experts at knowing exactly how to cut through asphalt. 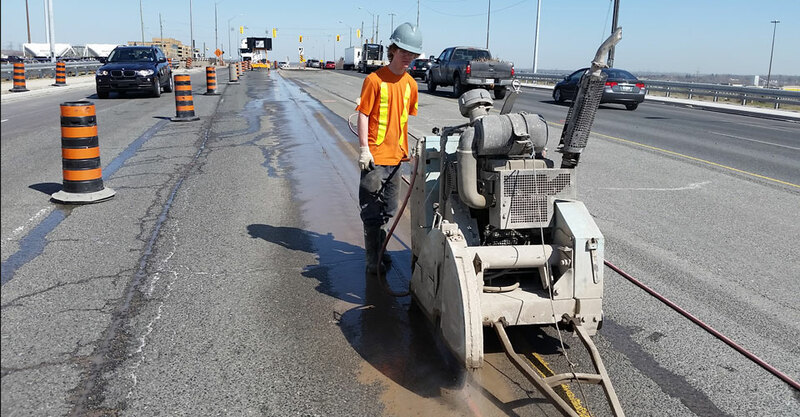 We’ve completed many asphalt sawing jobs over the years and our clients are always more than happy with the results. Due to the fact asphalt is “softer” than concrete, it often needs repairs. Whether it’s in driveways, roads, parking lots, or other places – we have the right cutting tools and equipment to properly execute any asphalt sawing project. In addition to frequent repairs, asphalt also requires specific tools to cut precisely. At Ace Cutting and Coring, we can design custom tools for any project based on the specifications. Anyone can find themselves in need of asphalt cutting and sawing services. Residential applications include when a driveway needs to be replaced or filling in potholes. Municipal and commercial applications include removing asphalt for new roads to be put in, adding water mains to existing roads, properly filling potholes, putting in electrical lines, and repairing parking or equipment lots. If you’re in need of asphalt sawing services or would like more information, contact us today!